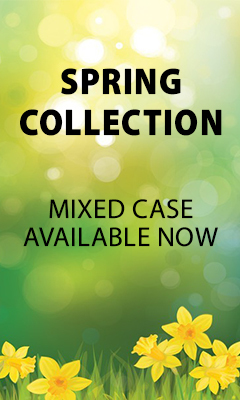 Now available and SHIPS FREE UK & ROI addresses! Created in 1984 and released annually since then, Midleton Very Rare is one of the most exclusive and sought after Irish whiskeys. 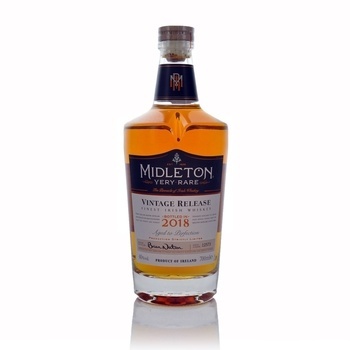 Once a year the Master Distiller hand selects only the finest and rarest whiskeys available to him and then carefully blends them to create each annual vintage of Midleton Very Rare Vintage Release. Only a limited number of bottles of this unique Irish whiskey vintage are released each year. NOSE - Vanilla sweetness with a light floral perfume. Some citrus zest combines with fresh herbs and sweet spices complimented by a touch of black pepper and charred oak. TASTE - Mouth-coating sweetness of vanilla, cinnamon and clove, enriched with a hint of green apple and unripe banana. Peppery pot still spices, along with charred American oak, add complexity. FINISH- Soft sweet spices fade leisurely leaving the final say to the charred oak and barley grains. Came quickly and well packaged. Lovely bottle of whiskey. Just want to check that the 2018 vintage edition comes in the presentation box as standard?